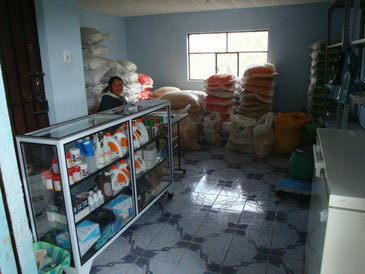 COAGRO strongly supports economic production in its partner communities through milk collection and farm supply stores. 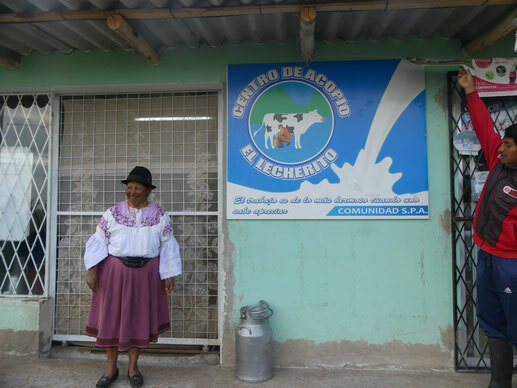 In two of the community associations, COAGRO helps its members producing and trading their local cow milk. Twice a day, the women deliver their milk to the association's milk cooling tank. This is then picked up daily by a large-scale dairy company truck and distributed to industries for processing. Through this system, the women receive fair prices for their product. Farm supply stores exist in two partner communities. Members can buy livestock feed, fertilizer, and other products for agricultural production. By buying their products at these local stores instead of going to stores in nearby cities, community members save time while also supporting the local economy. Also COAGRO works together with students and professionals from all over the world, who come to Ecuador to help our organisation with the skill they bring. 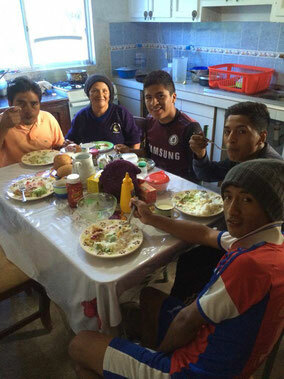 During their time in Ecuador they stay with host families in San Pablito de Agualongo, one of the communities we work with. In this way COAGRO promotes a cultural exchange between these families and the students and professionals while at the same time providing an additional source of income for the Ecuadorian host families.